Not even the sweet, sweet, mellowing effects of inebriation can make beer fans immune to hype. And the mother of all hype beers has arrived. That’s right, brace yourselves: Pliny the Younger season is here. Each February, Russian River Brewing descends from Olympus (or Santa Rosa… whatever) to bestow upon the salivating masses a few dozen kegs of its ambrosial triple IPA. People wait in line for days to get a few drops at the brewery. They obsessively monitor social media accounts for any hint as to when Pliny day will arrive at their favorite bar. They bribe bartenders to call them when the kegs are tapped. What we have here, as I’ve pointed out before, is the Furby Effect™. Limited supply multiplied by a seemingly metastatic demand equals frenzy. Sure, you end up with a pretty cool toy/get to try an amazing beer. But in the end, was it worth it? Pliny the Younger is a very, very good beer. But please people, it’s not that good. So if you are a devoted hop head who is allergic to frenzy (comme moi), you have options. Here are three triple IPAs that will do the trick if you decide to opt out of Pliny the Younger hysteria this year. 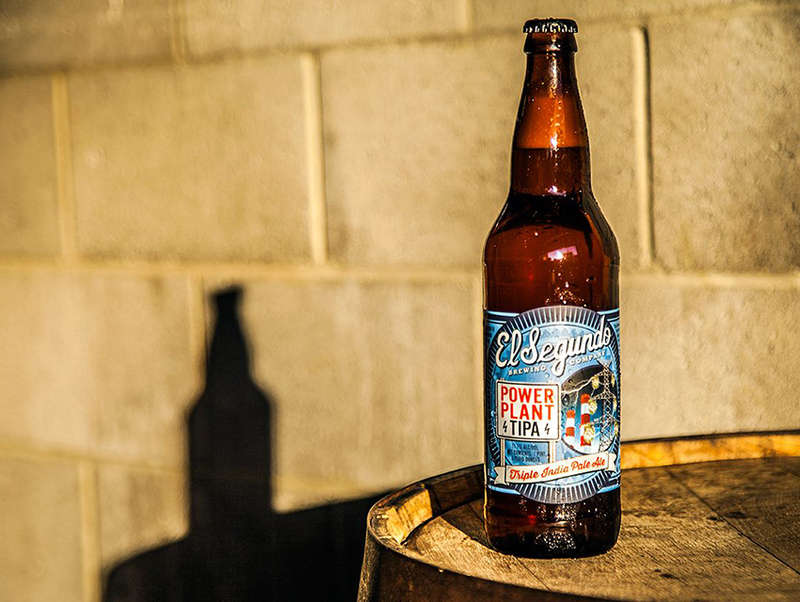 This 11.3-percent-ABV beer is brewed in the South Bay, so you can get a pint just days (sometimes hours) after brewing. Power Plant is only occasionally available (a batch just went live in the past few weeks), and is building a following of it’s own. I wouldn’t be surprised to see lines forming when the beer drops again in the future. Get a taste before this burgeoning hype explodes. Hops of Fury is perfect for the adventurous drinker who would rather not imbibe the beer equivalent of razor blades. In other words, you can get a balanced, smooth triple IPA, and Hops of Fury is proof. The brewmasters at Beachwood use six different varieties of hops to craft this 11-percent-ABV monster – a study in how to hop with class. Lizard’s Mouth IIPA, Figueroa Mountain Brewing Company. This chewy behemoth will satisfy even the most discerning of hoppy beer lovers. At 9 percent ABV, it’s on the lower end of what qualifies as a triple IPA, so you need not get totally ripped off a single pour. Instead, enjoy the candied fruits notes in this most tropical of triple IPAs and relish it’s year-long availability in finer bottle shops around the area. And maybe, if the beer gods are smiling down on you this year, you will accidentally show up to a beer bar that does not believe in hype and has quietly tapped Pliny the Younger on the down low. If not, enjoy the above beers and count your beer blessings until next year.